A quick view of the most influential metrics in Lost Creek. 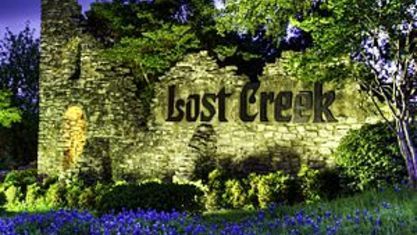 Lost Creek is an affluent upper-middle-class neighborhood and census-designated place (CDP) of approximately 4,500 people in Travis County, Texas, United States. The census tract is bordered by Capital of Texas Highway to the east, Barton Creek to the south, Barton Creek Boulevard to the west, and Bee Caves Road to the north. The Lost Creek CDP encompasses several small neighborhoods—Parkstone, Woods of Westlake, Camelot, and Knollwood—as well as the largest and most populous Lost Creek neighborhood. The neighborhood is named after a secluded section of Barton Creek away from more popular portions downstream that include Barton Springs and Zilker Park. Suburban residential development began in the late 1970s and continued for over three decades. Lost Creek is almost completely built-out. Lost Creek also encompasses a commercial area bordering Bee Caves Road and Capital of Texas Highway. Businesses occupying these buildings include Capital One Bank, Wells Fargo Bank, and Apple Inc. Lost Creek was annexed by the City of Austin in December 2015. Check out the latest demographic information available for Lost Creek. 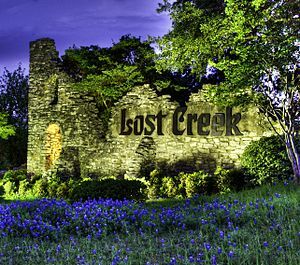 Get to know Lost Creek better with our featured images and videos. Browse through the top rated businesses in the most popular categories Lost Creek has to offer.